Congrats on the finish. It is so bright and cheerful. Perfect for a sweet baby. 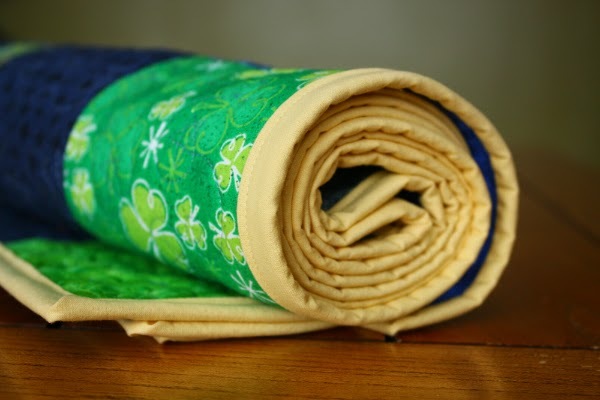 Both of my modern domestic machines have an extension table and I do not like them for machine quilting because they tend to move or even get pushed out as I guide the quilt along. So, I got a craft table that my machine sits down in and is the same height as the table I keep to the left to support the weight of the quilt. Interesting, Chris. I've never heard that about extension tables before. Unfortunately, I sew at our kitchen table, so cutting a hole in it for my sewing machine probably isn't an option! 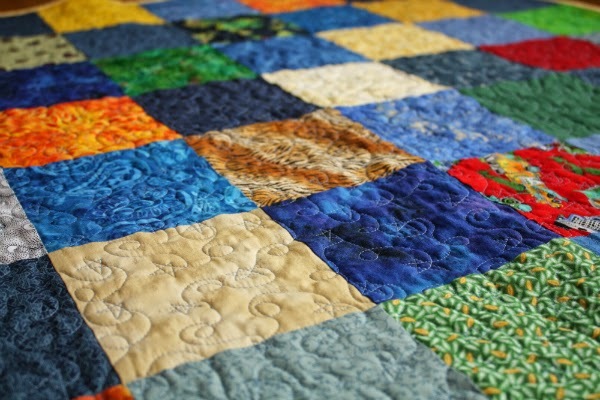 I love the blue thread on the quilting. Very Happy! Very Boy! What a lovely finish! Starting a boy quilt myself for a friend and Boy is it hard to find boy colors/groupings!! I really like the yellow binding, it frames the quilt so nice. 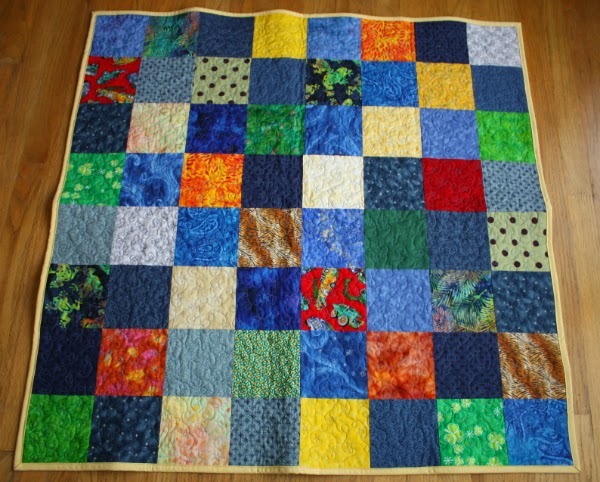 Congrats on a wonderful second quilt finish. 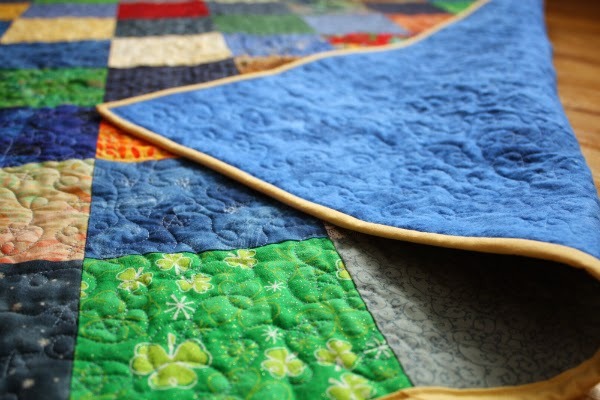 Love your quilting and that cute Shamrock print. Thanks for sharing and linking up to TGIFF.